Lighten up a little! 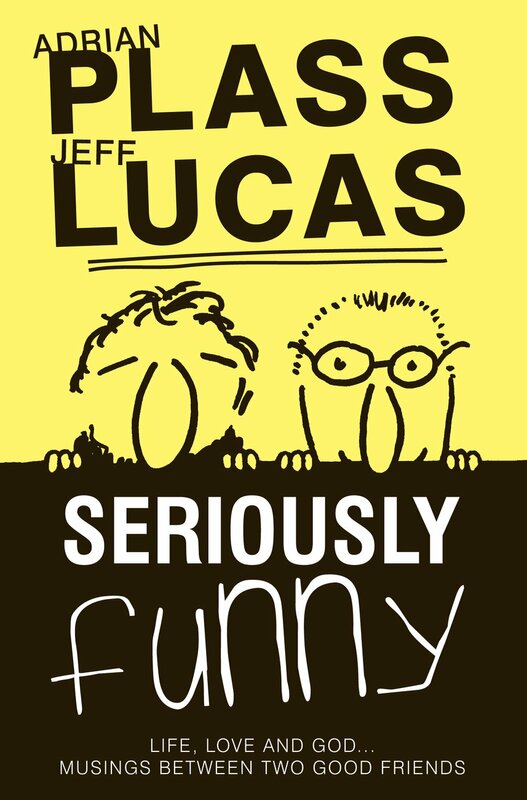 Seriously Funny brings wit and wisdom in spades-full from Jeff Lucas, the Christian humourist who sees the funny in the faithful. 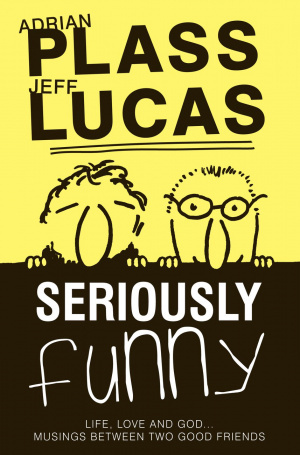 Seriously Funny is a fantastic book that is unique in its writing and is a combination of two wonderful writers express themselves in ways which will inspire all. Jeff Lucas and Adrian Plass are individuals, with individual experiences, but they have been combined in an enthralling journey in the form of Seriously Funny. A little while ago, concerned that the next time they got together, one of them would be in a coffin, Jeff Lucas and Adrian Plass decided to start exchanging letters - and this book is the result. Why Seriously Funny? It was created spontaneously and uniquely, it isn't fictional nor is it predictable but what Seriously Funny does is combine thoughts, real life situations and express living moments of two honest Christians. It talks about serious issues, which also have funny endings and stories, hence the title Seriously Funny. Lucas and Plass have not left a stone unturned and have delved deep into their personal experiences to show that embarrassing things do happen in real life and not just in films or fiction. Breathtakingly honest, Seriously Funny is a celebration of 21st century Christianity - as well as a no-holds barred expose of its sillier side. Lucas and Plass are equally hard on themselves, with having their most embarrassing moments a joy to read. 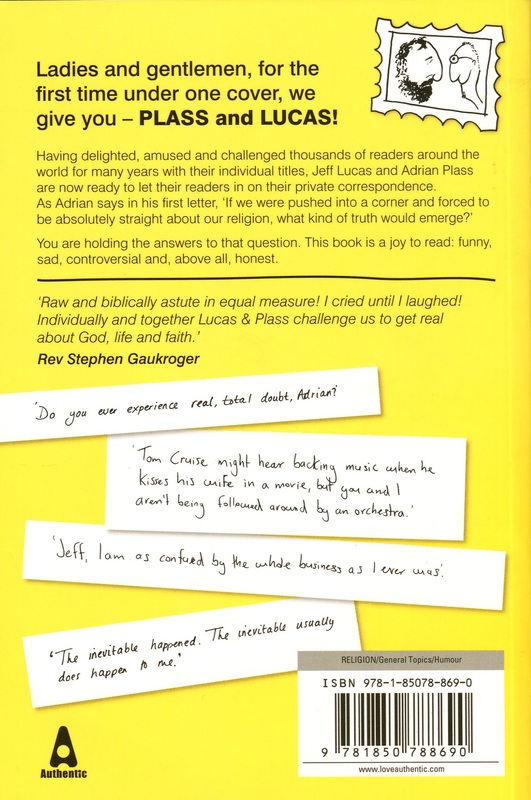 Seriously Funny by Adrian Plass; Jeff Lucas was published by Authentic in April 2010 and is our 12496th best seller. The ISBN for Seriously Funny is 9781850788690. What I find so endearing about these two gentlemen, Adrian Plass and Jeff Lucas, is their openness with each other and ultimately with us, their readers. Their main motivation is to share their love for a loving Lord Jesus, and this shines through their bad times as well as their good times. Their almost child-like humour is refreshing and makes us chuckle, only to be brought up short by the next sentence or paragraph being profoundly serious. A thoroughly good read. Funny and serious, and reassuring that I'm not alone in some of my thoughts, Jeff & Adrian have been there too.? Humorous and heart-wrenching in only the way that Plass and Lucas can be. A very easy book to read that throws in surprising challenges to your way of thinking. Well done both! Got a question? No problem! Just click here to ask us about Seriously Funny.